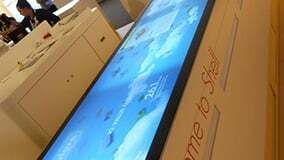 In collaboration with imagination London, eyefactive developed an interactive exhibition highlight for Shell. 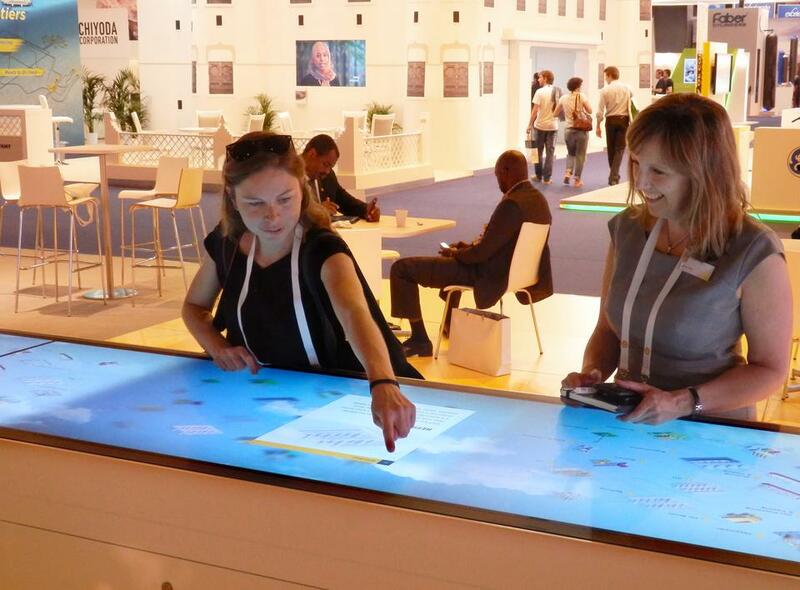 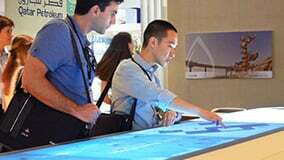 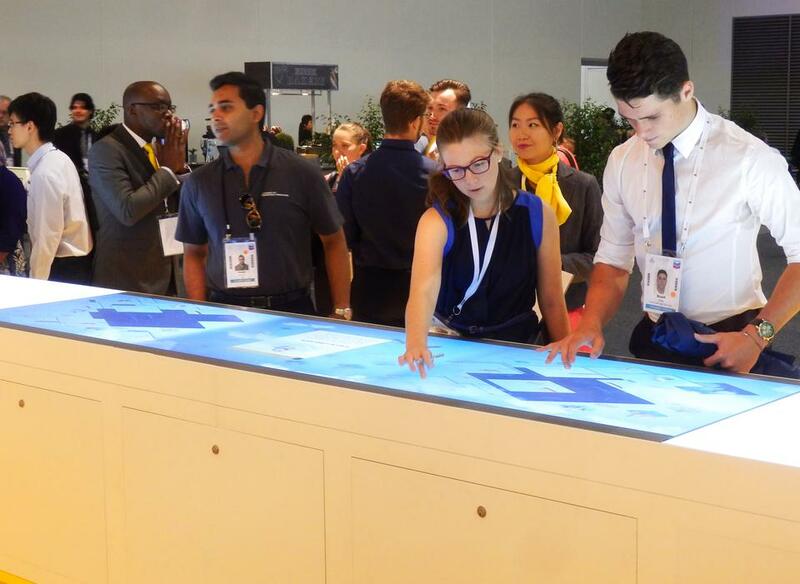 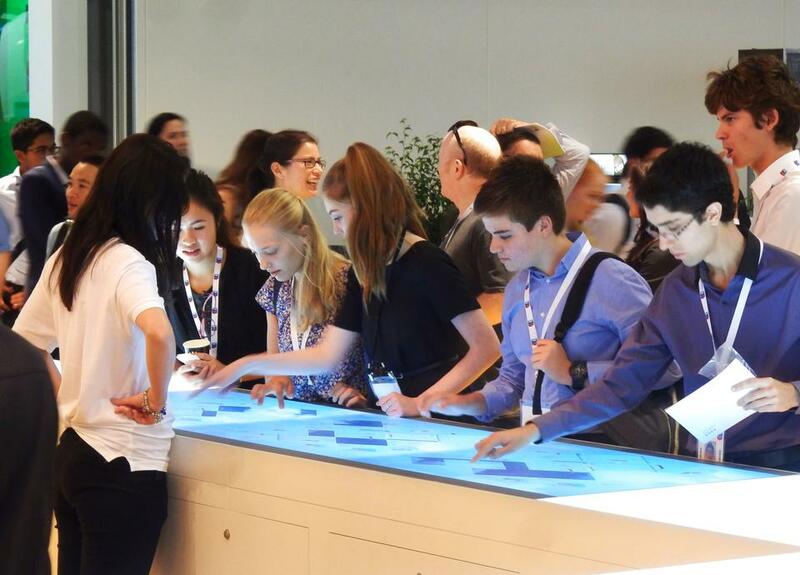 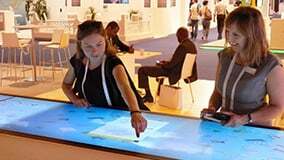 Visitors at several international exhibitions could get consultation and information about products, technologies and processes of the client on two huge touchscreens. 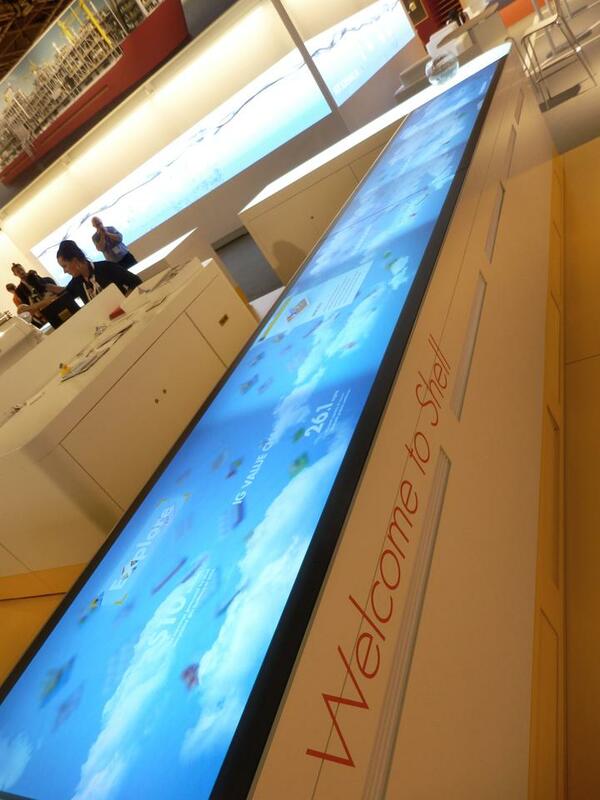 Imagination is well known for its transformitive creative ideas that deliver value for its clients. 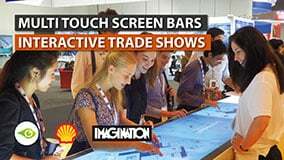 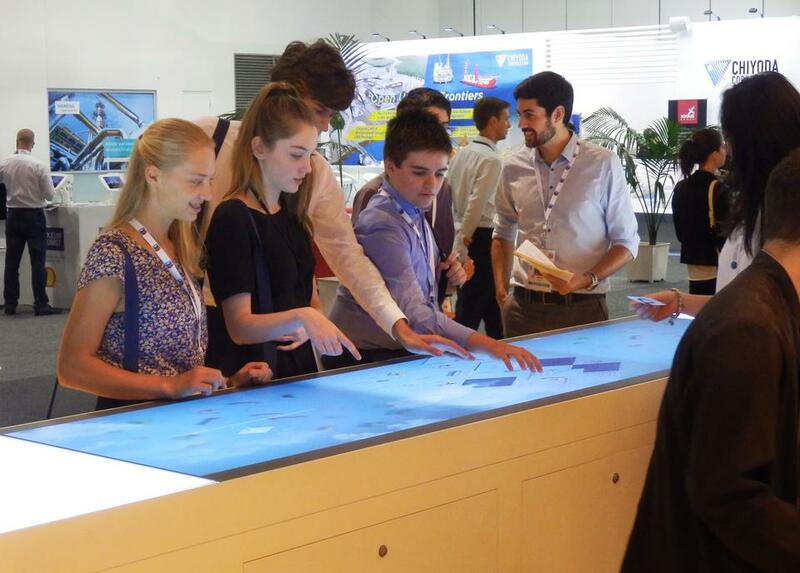 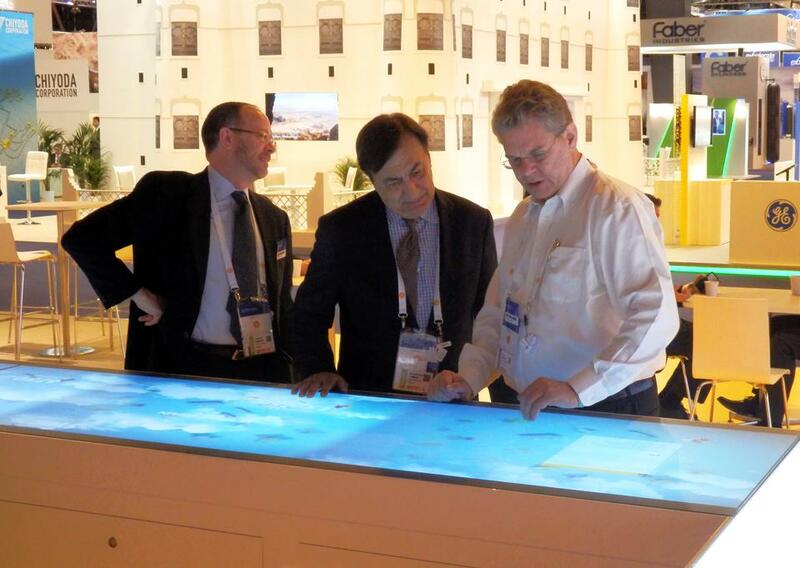 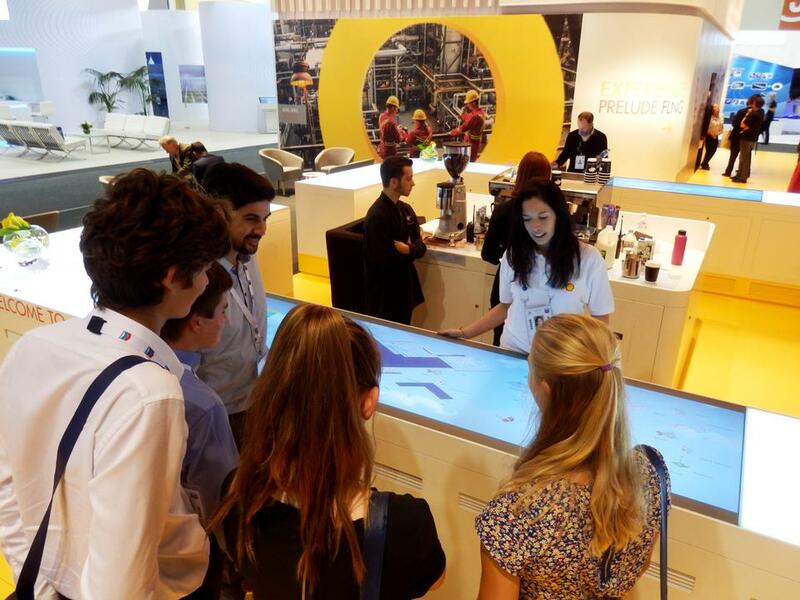 Thus, the decision for the scalable touchscreen technology partnering with eyefactive as the key element of Shell's global exhibition programme was made: On extremely large multitouch displays the core topic of natural gas production needed to be presented to an engaged B2B audience in an interactive and playful way. 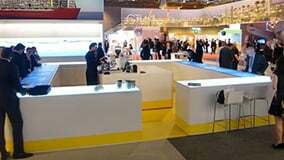 The exhibition concept was kept very versatile, was continually further developed and successfully deployed at several international exhibitions i.a. 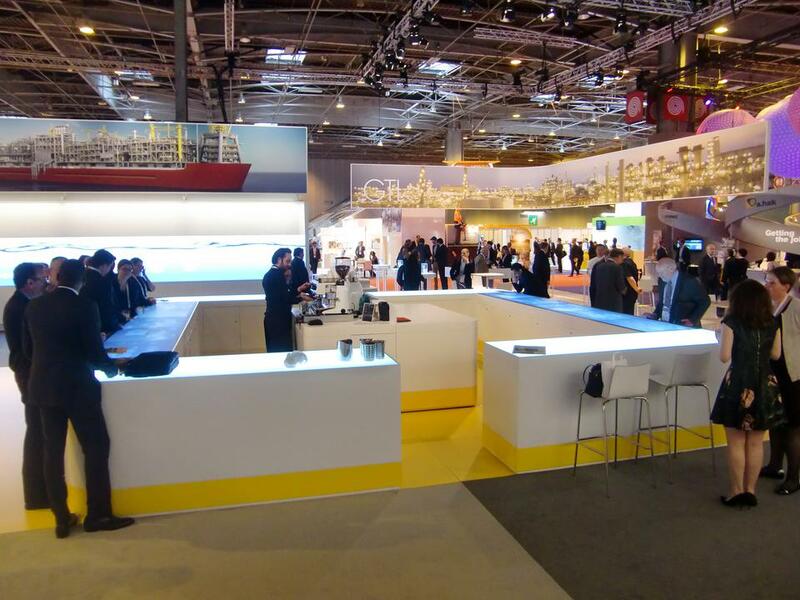 WGC in Paris, GasTech in Singapore and LNG in Perth. 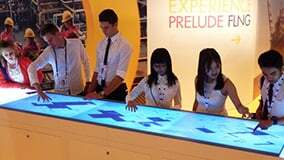 The interactive installation was designed as a modular system: Depending on the space available at each exhibition a variable number of eyefactive OMEGA modules can be used to flexibly implement large bars of 3-5m in length. 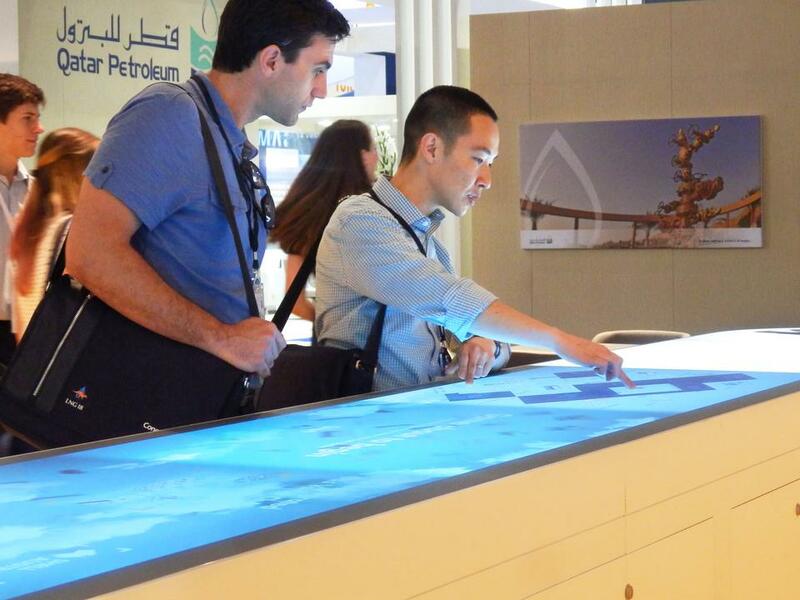 The interactive software displays the cycle of natural gas production on a virtual map. 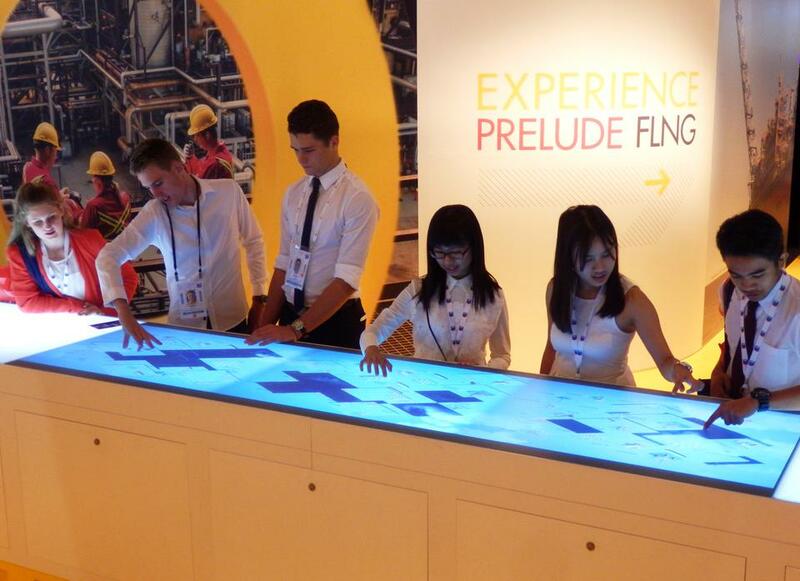 Every process in the cycle is marked with an interactive point of interest, which reveals detailed information when touched. 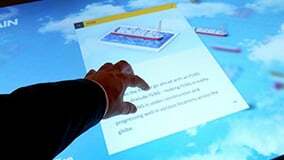 An animated virtual window opens and gives way to texts, graphics and videos. 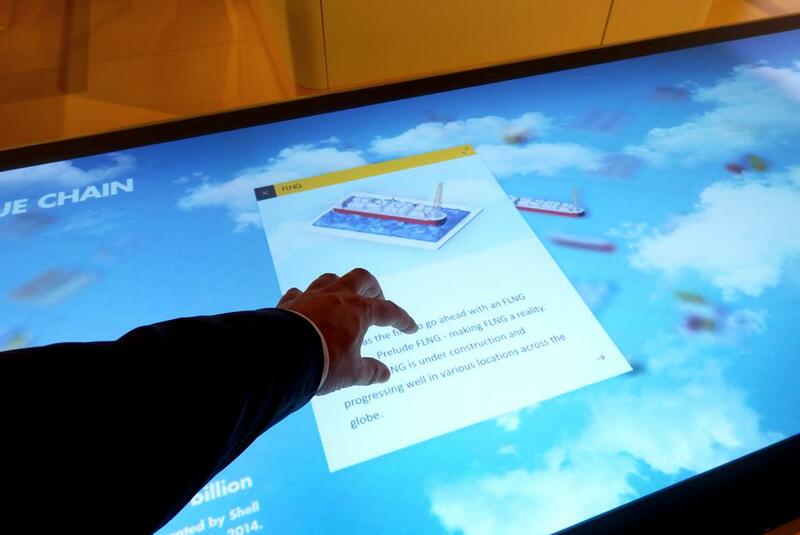 Furthermore, complementary PDF brochures can be sent to any email address via a virtual keyboard. 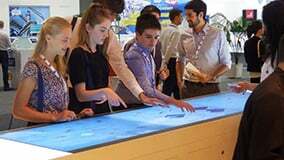 In addition, the virtual map could also be playfully put together in a puzzle adding an element of gamification at the global exhibitions. 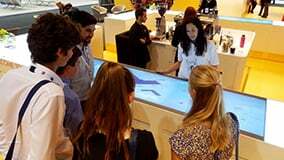 Staff at the trade show could start and terminate the game either on individual sections or on the whole bar by help of special markers and eyefactive's object recognition technology. 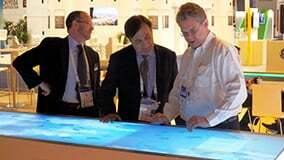 Various international trade shows: WGC, GasTech, LNG, et al. 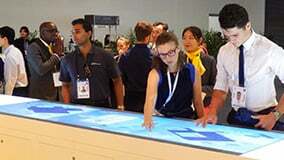 Paris, Singapore, Perth, et al.